Beautiful crystal chandelier, exquisite vase or a luxurious cookware set will adorn any home. 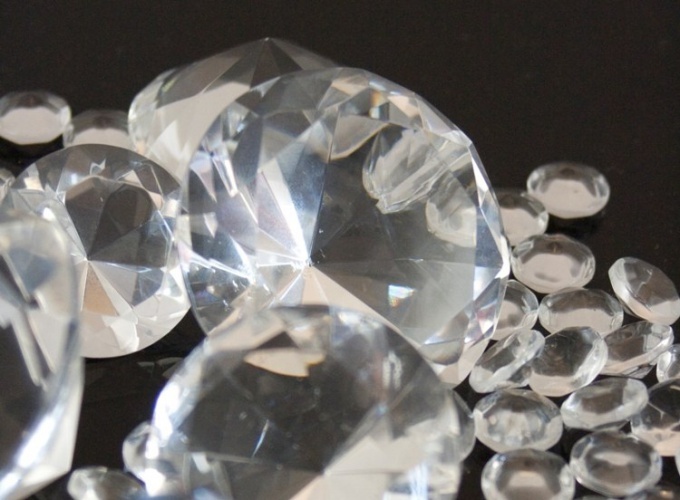 It is important to prepare for the purchase and to know some useful tips to avoid mistakes by buying shining crystal instead of ordinary glass. There are a few simple ways of testing that can help to distinguish a crystal from a regular glass. First of all, the sound. Try gently knock on the intended crystal product with a metal object. To do this, use the key, a metal nail file or key FOB. This crystal good quality sound after hitting smooth and long: it lasts on a single note for a few seconds and then is on the wane. By the way, so define marriage crystal. Have chipped or defective product, the sound will be uneven and jarring. Crystal sounds thin, clean. Another way to define the real crystal - tactile. The crystal is heated more slowly than the glass, it stays cool. Try to compare two items in the store - one of glass and the other of the intended crystal. Hold items in his hands the same time. Feel the difference? Crystal products should remain colder than glass. The third way to verify the quality crystal visual. If you take a crystal product in hand and look at it in bright light, it will Shine with different colors on the finest pure faces amazing play of light. In addition, the crystal is more durable than glass and cannot be scratched. Unfortunately, glass is also brittle, and with a strong impact, it will surely be broken. In bright light within the glass structure will be visible gas bubbles formed in the manufacturing process. In addition, inside the mass of glass is also sometimes made visible - small frozen streaks. Inside the crystal such bubbles and cord should not be. Well, the easiest way is if you choose the expensive crystal vase or a set, you can give the crystal to check the professionals, the results of this study can be trusted 100%. The crystal should be washed in cool water - hot from he dark and dull.